The story of Jerome Kavanagh, a young Māori practitioner of traditional instruments, as he revives ancient ancestral practices in our contemporary world. Made with the support of NZ On Air. Shakespeare on film and by females: remixed, rediscovered and reimagined. 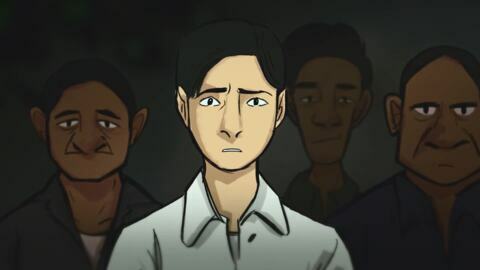 A young New Zealander and his father explore their family's refugee story as survivors of the Khmer Rouge regime. Made with the support of NZ On Air. A story about compassion and kindness towards a young woman in desperate need. Made with the support of NZ On Air. A quirky satire about unsustainable packaging. A story connecting with tikanga Māori about passing on guardianship through generations.